In a world where breaches are increasingly common, we risk becoming numb to the importance of protecting our personal data. But that’s a risk no one can afford to take. For a little perspective, let’s imagine a very weird trip to a bustling cafe. Imagine yourself pulling open the glass door and proceeding to spread your most economically valuable possessions on top of an empty table. Jewelry, car keys, personal devices, a list of vital passwords, credit cards, your social security card … then imagine walking away. Which of these valuables would you be most nervous about losing to a caffeinated thief? My guess is it’s one of the physical goods, like the jewelry or car keys, because the value of those items is easy to calculate. And, frankly, the resale value of your personal data is insultingly low. So although passwords and sensitive info are less intrinsically valuable to a thief than a vehicle, the fallout from their compromise can be far greater. 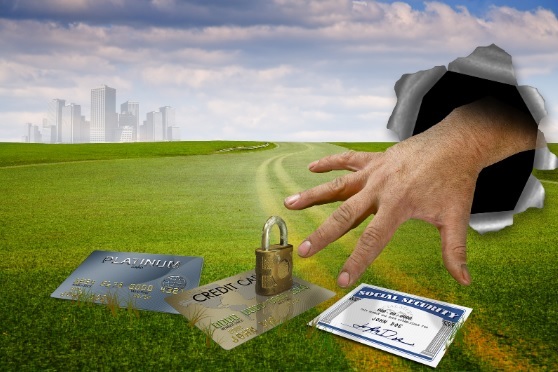 Protecting your personal data is one of the best ways you can ensure a straightforward financial future. And you don’t have to be an IT expert to take your personally identifying information off the table. If you miss the rest of this post, take note of this crucial tip! Adding on this extra layer of security is one of the best (and simplest) changes you can make to protect your personal data. Your phone probably asks you regularly if you want to enable 2FA, and you should, but you can also enable it for your email, bank accounts, and many other places that are password-protected. 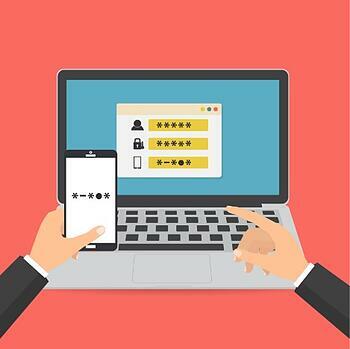 Each device, site, or app may do 2FA a little differently, but the basic idea is to require a second verification beyond your password. That way if a thief manages to crack your password, they’d still need biometrics, a pin code, the answer to a security question, your phone, or possibly access to your email account to proceed. I can’t tell you how many clients I’ve worked with who admit they still use dangerously common or easy passwords. If you use the same password in multiple places, or use something like this, it’s time to step up your password game. There are several headache-free ways you can create strong passwords. First, you can ditch the concept of password altogether and create a passphrase. Passphrases should include a range of characters in a memorable (to you) sentence. For example, “1dOn#LIk3_b@D_pasSw0Rds.” Alternatively, you can use an encrypted password manager that can create and remember complicated passwords, like LastPass. Never write down (or screenshot) your passwords, or put them in an email of text. Likewise, you should never give them over the phone or in person to anyone — including the IT guy. If the password needs to be typed in, you are the one to do it. If you’re a road warrior, this is especially important for you. But anyone who connects to public Wi-Fi in airports, cafes, or places of business should take 15 minutes to create a virtual private network. Public Wi-Fi transmits data in clear text, giving cybercriminals easy access to your unprotected personal data. But a VPN keeps your IP address and personal details private and encrypts your connection so anyone who intercepts it sees only gibberish. It’s a quick, simple step that can protect your personal data when you’re on the go. Here’s a tutorial. We tend to use a lock-screen code and assume our phone’s data is safe from prying eyes, but there are other steps you need to take to protect the personal data on your phone. First, you can put a PIN lock on your SIM card so anyone who gets a hold of it can’t access your data. Here’s the how-to for iPhone and for Android. Tip #5: Don’t ignore updates! Your personal data is only as sound as your resolve to stop clicking “remind me later” when it’s time to install updates. 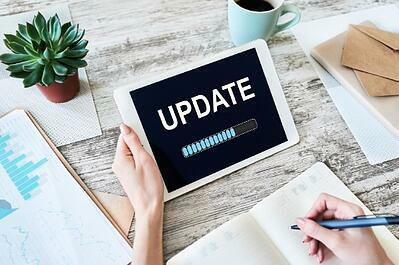 Here’s a look at why security updates are so important. Cybercriminals are always checking the fences, and those updates will close up any known security gaps. Stay on top of OS, antivirus software, and app updates on all of your devices. Always start a new message thread to verify messages that ask for sensitive information or include links or files you weren’t expecting. Phishing scams can look incredibly close to legitimate messages, but they infect your computer with malware or steal your personal data. Consider using tools like Advanced Threat Protection for your email. To become a scam-spotting expert, it’s a great idea to learn the hallmarks of phishing messages through Security Awareness Training like this. These tips are excellent steps toward securing your personal data, and many of the same principles can safeguard your business as well. If you’re ready to get serious about protecting your business data, Security Awareness Training is the best place to start. Let’s talk about how simple it is to get started today. Contact us today to learn about Security Awareness Training.